NDC’s Professional Development and Online Training Courses provide timely instruction on specific financing tools and development strategies. These courses complement our certification programs and are powerful standalone training opportunities. of approved activities will fulfill NDC’s recertification requirements. Take advantage of the limited time 50% discount* by registering now for these upcoming Professional Development and Online Training classes. *This is a limited time offer valid only on new registrations that are received between February 10, 2017 and February 16, 2017 for the following Professional Development and Online Training courses: PD502-Low-Income Housing Tax Credits March 27-29, 2017, PD515-New Markets Tax Credits April 11-13, 2017, New Markets Tax Credits Webinar April 5, 2017, Low-Income Housing Tax Credits Webinar March 14, 2017. Discount cannot be used with any other promotional code and is non-transferable. 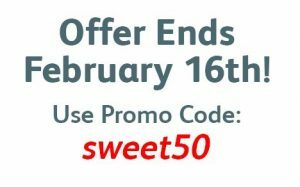 Promo code sweet50 must be entered at the time of registration and will apply a 40% discount in addition to the 10% Early Bird Registration Discount. This offer can not be used on any previous registrations or courses sponsored by a third party.